The land of Dumbarton Oaks was formerly part of the Rock of Dumbarton grant that Queen Anne made in 1702 to Colonel Ninian Beall (ca. 1625-1717). Around 1801, William Hammond Dorsey (1764–1818) built the first house on the property (the central block of the existing structure) and an orangery, and in the mid-nineteenth century, Edward Magruder Linthicum (1787–1869) greatly enlarged the residence and named it The Oaks. The Oaks also was the Washington residence of U.S. Senator and Vice President John C. Calhoun (1782–1850) between 1822 and 1829. Mildred and Robert Woods Bliss acquired the property in 1920, and in 1933 they gave it the name of Dumbarton Oaks, combining its two historic names. The Blisses engaged the architect Frederick H. Brooke (1876–1960) to renovate and enlarge the house (1921–1923), thereby creating a Colonial Revival residence from the existing Linthicum-era Italianate structure. Over time, the Blisses increased the grounds to approximately 54 acres (220,000 m2) and engaged the landscape architect Beatrix Farrand (1872–1959) to design a series of terraced gardens and a wilderness on this acreage, in collaboration with Mildred Bliss (1921–1947). The Blisses’ architectural additions to the estate included four service court buildings (1926) and a music room (1928), designed by Lawrence Grant White (1887–1956) of the New York City architectural firm of McKim, Mead and White, the superintendent's dwelling (1933), designed by Farrand. Later renamed the Fellows Building, this building is now known as the Guest House. After retiring to Dumbarton Oaks in 1933, the Blisses immediately began laying the groundwork for the creation of a research institute. They greatly increased their already considerable collection of artworks and reference books, forming the nucleus of what would become the Research Library and Collection. In 1938 they engaged the architect Thomas T. Waterman (1900–1951) to build two pavilions to house their Byzantine Collection and an 8,000-volume library, and in 1940 gave Dumbarton Oaks (which included about 16 acres (65,000 m2) of land) to Harvard University, Robert Bliss's alma mater. At the same time they gave a portion of the grounds—some 27 acres—to the National Park Service to establish the Dumbarton Oaks Park. In 1941, the administrative structure of Dumbarton Oaks, now owned by Harvard University, was modeled according to the following design: the Trustees for Harvard University, composed primarily of the President and Fellows of Harvard College, made all appointments, including those to the Administrative Committee, which in turn would supervise the entire operation and refer to the Trustees such recommendations as may require their action. This committee was first chaired by Paul J. Sachs (1878–1965), Harvard Professor and Associate Director of the Fogg Art Museum, but by 1953 it was chaired by the Dean or Provost and, beginning in 1961 and thereafter, by the President of Harvard University. Wishing to increase the scholarly mission of Dumbarton Oaks, in the early 1960s the Blisses sponsored the construction of two new wings, one designed by Philip Johnson (1906–2005) to house the Robert Woods Bliss Collection of Pre-Columbian Art and its research library and, the other, a garden library designed by Frederic Rhinelander King (1887–1972), of the New York City architectural firm Wyeth and King, to house the botanical and garden architecture rare books and garden history reference materials that Mildred Bliss had collected. In 1937, Mildred Bliss commissioned Igor Stravinsky (1882–1971) to compose a concerto in the tradition of Bach's Brandenburg concertos to celebrate the Blisses' thirtieth wedding anniversary. Nadia Boulanger (1887–1979) conducted its premiere on May 8, 1938 in the Dumbarton Oaks music room, due to the composer's indisposition from tuberculosis. At Mildred Bliss's request, the Concerto in E-flat was subtitled “Dumbarton Oaks 8-v-1938,” and the work is now generally known as The Dumbarton Oaks Concerto. Igor Stravinsky conducted the concerto in the Dumbarton Oaks music room on April 25, 1947 and again for the Bliss's golden wedding anniversary, on May 8, 1958. He also conducted the first performance of his Septet, which is dedicated to the Dumbarton Oaks Research Library and Collection, in the music room on January 24, 1954. In the late summer and early fall of 1944, at the height of the Second World War, a series of important diplomatic meetings took place at Dumbarton Oaks, officially known as the Washington Conversations on International Peace and Security Organization. Delegations from China, the Soviet Union, the United Kingdom, and the United States deliberated over proposals for the establishment of an organization to maintain peace and security in the world. Their meetings resulted in the United Nations Charter that was adopted in San Francisco in 1945. To help the institution better fulfill its mandate, administrative changes were slowly introduced after 1969, the year Mildred Bliss died. The Garden Advisory Committee was abolished in 1974 and replaced in 1975 by the Advisory Committee for Studies in Landscape Architecture. 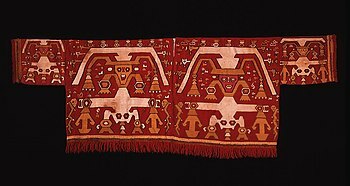 In 1975, the Advisory Committee for Pre-Columbian Art similarly was renamed the Advisory Committee for Pre-Columbian Studies. The Board for Scholars in Byzantine Studies was abolished in 1975 and replaced by the Senior Fellows Committee. In 1981, the three advisory groups were uniformly named the Senior Fellows. Beginning in 1979, the Administrative Committee became composed of four members almost always including the President, the Dean of the Faculty of Arts and Sciences, a senior faculty member of Harvard University, and (until 1994) the Director of Dumbarton Oaks. The Board of Advisors was abolished in 1991. The institution has continued to be a major sponsor of archaeological excavations and art restoration projects. During the 1970s it funded major fieldwork projects work in Cyprus, Syria, and Turkey, efforts that today span the entire geographical breadth of the former Byzantine commonwealth. Dumbarton Oaks began to fund archaeology in Central and South America in the mid-1990s. In 2005, Dumbarton Oaks inaugurated a new gardeners’ court and a 44,500-square-foot (4,130 m2) library, both designed by Robert Venturi (b. 1925) of the Philadelphia architectural firm of Venturi, Scott Brown & Associates. In 2008 the institute also completed an extensive renovation of the main house and museum wing, including restoration of its historic period rooms, several of which were created by the Parisian designer, Armand-Albert Rateau (1882–1938). The program in Byzantine Studies, established in 1940, supports scholarship on the civilization of the Byzantine Empire from the fourth to the fifteenth centuries and its interactions with neighboring cultures and civilizations, including the late Roman, early Christian, western medieval, Slavic, and Near Eastern. The program in Pre-Columbian Studies was founded in 1963 to support the study of the art and archaeology of the ancient Americas. The program focuses on the cultures that thrived in the western hemisphere from northern Mexico to southern South America, from the earliest times to the sixteenth century. 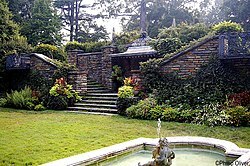 Dumbarton Oaks awarded the first fellowship in landscape architecture in 1956 under the provisions of the Dumbarton Oaks Garden Endowment Fund established in 1951 by the Blisses. However, the program in Garden and Landscape Studies (formerly known as Landscape Architecture Studies) was established in 1969 and inaugurated in 1972 to support the study of gardens and the history of landscape architecture around the world from ancient times to the present. The Byzantine Collection spans the imperial, ecclesiastical, and secular realms and comprises more than 1,200 objects from the fourth to the fifteenth centuries. Although the collection emphasizes objects of precious materials, underscoring the conception of Byzantine art as luxury art, the collection also includes large-scale works such as mosaics from Antioch and relief sculpture, as well as more than two hundred textiles and comprehensive holdings of coins and seals. It owns six manuscripts (see, e.g., Minuscule 705). 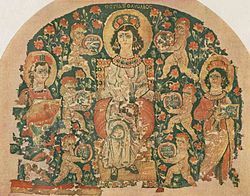 In addition to its Byzantine holdings, the collection includes Greek, Roman, and western medieval artworks and objects from the ancient Near East, pharaonic and Ptolemaic Egypt, and various Islamic cultures. The Robert Woods Bliss Collection of Pre-Columbian Art comprises objects from the ancient cultures of Mesoamerica, the Intermediate Area, and the Andes. Among its most important holdings are a variety of sculptures in stone, including carvings of Aztec deities and animals and several large relief panels bearing the likenesses of Maya kings. In addition there are sculpted anthropomorphic figurines and polished jade renderings of ritual objects from the Olmec, Veracruz, and Teotihuacan cultures as well as molded and painted ceramics of the Nasca, Moche, and Wari cultures. Gold and silver objects from the Chavín, Lambayeque, Chimú, and Inca cultures offer evidence of the expertise achieved by Andean metalsmiths, and over forty textiles and works in feathers testify to the importance of fiber arts in this region. The House Collection consists primarily of Dumbarton Oaks' historic buildings and interiors, Asian, European, and American artworks, and interior furnishings. Principal to the collection is the renaissance-style Music Room. The ceiling and flooring of this room were inspired by examples at the guardroom of the historic Château de Cheverny near Paris and were fabricated by the Parisian designer, Armand Albert Rateau. The Music Room features displays of tapestries, sculptures, paintings, and furniture dating from the fifteenth to the eighteenth centuries. The Blisses used the room for hosting musical programs and scholarly lectures, and it continues to serve these purposes. In 1959, the Blisses commissioned the New York City architect Philip Johnson to design a pavilion for the Robert Woods Bliss Collection of Pre-Columbian Art. This building—eight domed circular galleries (having an unroofed fountain area at the center) set within a perfect square—recalls Islamic architectural ideas, and Johnson later credited the design to his interest in the early sixteenth-century Turkish architect Mimar Sinan. The pavilion was built in the Copse, one of the designed landscapes at Dumbarton Oaks, and Johnson employed curved glass walls to blend the landscape with the building. He later reminisced that his idea was to fit a small pavilion into an existing treescape, to make the building become part of the Copse. Johnson maintained that he wanted the garden to “march right up to the museum displays and become part of them,” with the plantings brushing the glass walls and the sound of splashing water audible in the central fountain. To further this idea, he incorporated four interior glazed planter areas situated between the galleries and the fountain. The collection of books originated in Mrs. Bliss's aim to preserve illustrated books from being broken up for individual plates. There are volumes of views which are especially valuable for the study of gardens since few of the sites survive as originally created. For example, Giovanni Battista Falda’s 17th-century plates showing the gardens of Rome; views of Versailles and other royal gardens in Louis XIV’s France by Perelle and Sylvestre; and Jan Kip and Leonard Knyff’s early-18th-century bird’s-eye views of English country estates. The latter works yield almost the only evidence of the appearance of these geometrical or regular designs before their supplanting by the irregular or “picturesque" taste. Many volumes in the library describe great gardens or garden practice, for example Robert Castell's The Villas of the Ancients Illustrated and various editions of Andrew Jackson Downing’s A Treatise on the Theory and Practice of Landscape Gardening. The collection is also rich in works illustrating flowers and plants – early herbals and botanical writings, floras – works on horticulture, and even agriculture as it affects the life of country estates, such as a 1495 edition of Pietro de' Crescenzi’s Il libro della agricultura. The herbals represent early attempts to create a coherent system of plant description and are forerunners of today's science of taxonomy. Two of them, the Herbarius Latinus, printed in Passau in 1486, and the Hortus Sanitatis, printed in Mainz in 1491, are among the earliest printed books with woodcut illustrations. As the science of botany developed, so did the art of plant illustration. Early herbals had simple, not very realistic, woodcut illustrations of plants. By the 17th century new graphic techniques, such as metal plate engraving and etching, permitted highly detailed botanical renderings. These techniques were also used by artists who created the newly popular still lifes of flowers and fruits, and by artisans, such as jewelers, tapestry weavers, and furniture decorators, in pattern books recording their floral designs. The increasing sophistication of techniques of plant illustration in the 18th century culminated in the development of color printing. The library owns copies of works by Redouté, the first artist to exploit fully the potential of color printing of stipple engravings in such renowned books as Les Roses or the multi-volume Liliacées, and works by other masters of the period, including Georg Dionysius Ehret’s Plantae et papiliones rariores, 1748-1759. The collection continues to be developed. Noteworthy acquisitions from recent years are Francesco Colonna’s La Hypnerotomachia di Poliphilo, 1545 edition; Salomon de Caus’s La pratique et demonstration des horloges solaire, published in Paris in 1624; and Humphry Repton’s album of 500 engraved views taken from William Peacock’s Polite Repository, arranged by year. In 1921, the Blisses hired landscape gardener Beatrix Farrand to design the garden at Dumbarton Oaks, and for almost thirty years Mildred Bliss collaborated closely with Farrand. Together they transformed the existing farmlands surrounding the house into terraced garden rooms and vistas, creating a garden landscape that progressed from formal and elegant stepped terraces, in the near vicinity of the house, to a more recreational and practical middle zone of pools, tennis court, orchards, vegetable beds, and cutting gardens, and concluding at the far reaches of the property with a rustic wilderness of meadows and stream. Within the garden rooms, Bliss and Farrand used a careful selection of plant materials and garden ornaments to define the rooms’ character and use. Since that time, other architects working with Mildred Bliss—most notably Ruth Havey and Alden Hopkins—changed certain elements of the Farrand design. The garden at Dumbarton Oaks was first opened to the public in 1939. The Dumbarton Oaks Park is a 27-acre naturalistic streamside valley park, maintained as a part of Rock Creek Park. In 1946, Dumbarton Oaks inaugurated the Friends of Music concerts to offer a yearly chamber music subscription series in the music room. This series was based on the similar Friends of Music at the Library of Congress, of which Mildred Bliss was a long-time member. In 1958, Dumbarton Oaks commissioned Aaron Copland (1900–1990) to compose Nonet for Solo Strings (generally known as Nonet for Strings) in honor of the Blisses’ fiftieth wedding anniversary. Nadia Boulanger conducted its world premier with nine members of the National Symphony Orchestra on March 2, 1961. Copland dedicated the piece “to Nadia Boulanger after forty years of friendship.” In 2006, Dumbarton Oaks commissioned Joan Tower to compose Dumbarton Quintet, which was premiered in the music room on April 12, 2008, with the composer at the piano. In 2017 the series was renamed Music at Dumbarton Oaks. ^ Gudrais, Elizabeth (June 2008). "Home of the Humanities". Harvard Magazine. 110 (5). pp. 48–56, 95. ^ Academy of Achievement (2007-11-30). "Philip Johnson Biography: Dean of American Architects". Academy of Achievement. Archived from the original on 2011-07-21. ^ VSBA Architects & Planners. "Dumbarton Oaks, New Library". VSBA Architects & Planners. Retrieved 2014-03-20. 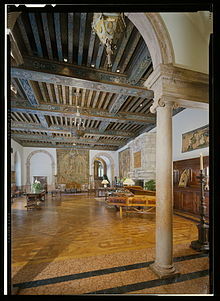 Wikimedia Commons has media related to Dumbarton Oaks.